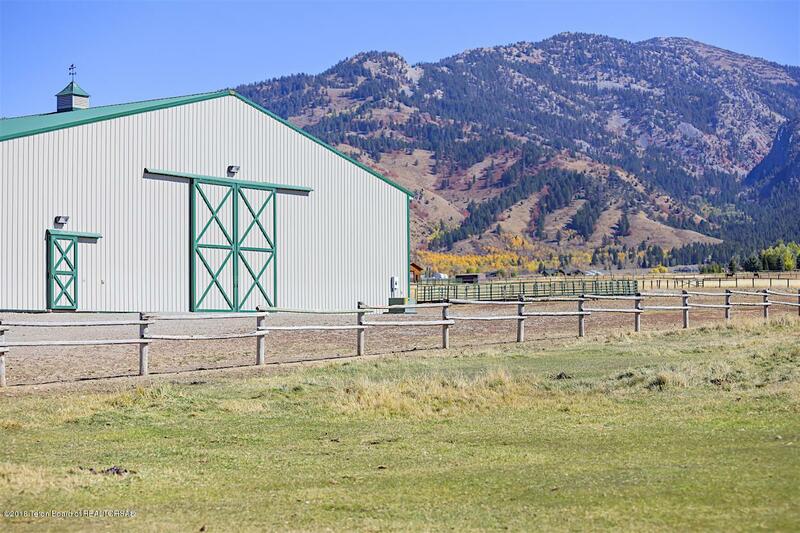 Horse-enthusiast dream property! 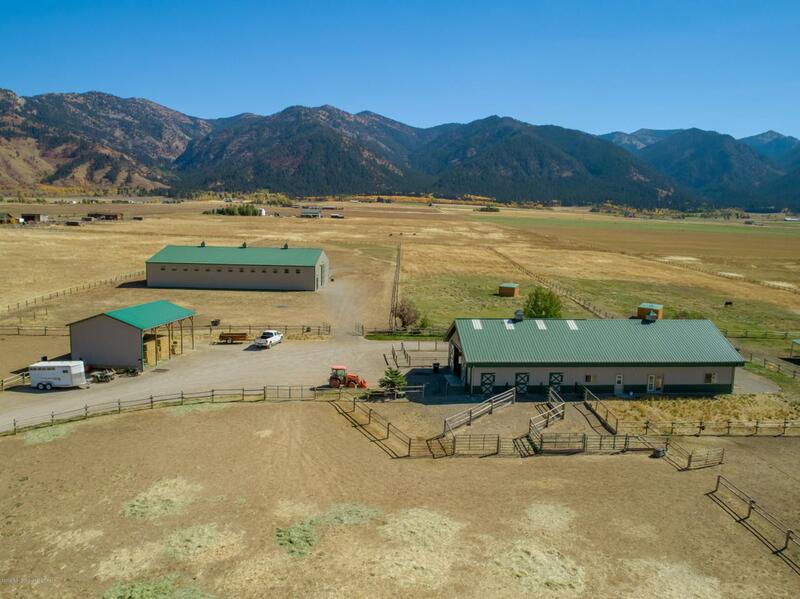 14+ acres with no restrictive covenants in the heart of Etna, just one hour south of Jackson Hole. The grounds are immaculately maintained and offer a charming one-bedroom residence with thoughtful updates, windows to take in the mountain views, and 1900+sq ft of unfinished square footage for potential future space. 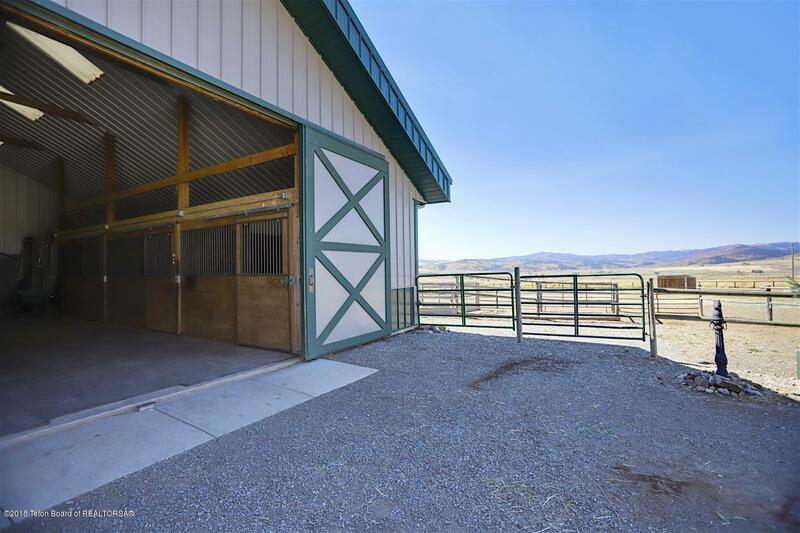 The mudroom attaches the residence to a 6-stall horse barn/dog kennel with heated tack room - the residence is currently operating as a licensed dog and horse boarding facility. 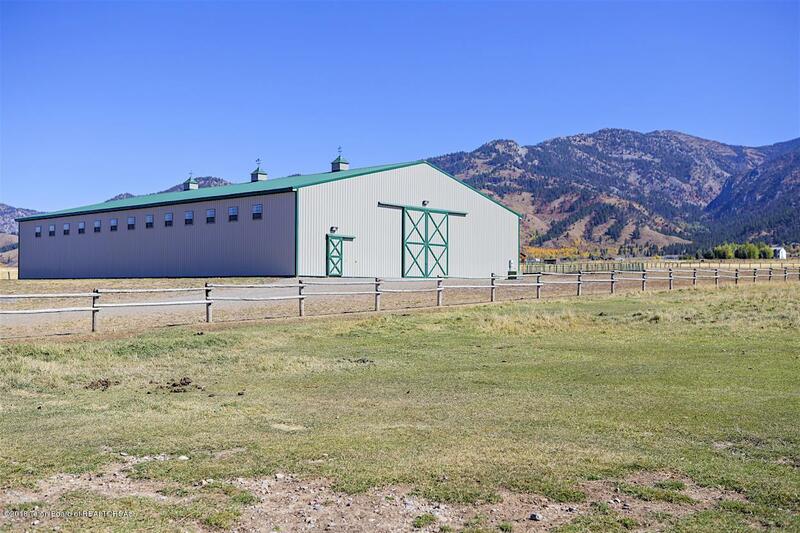 The spacious grounds are completely fenced and offers a 120x80 insulated indoor arena, a 120x100 outside arena, hay shed, 14 automatic water heaters, and gorgeous mountain views. This is a very unique, meticulously maintained property that could also be subdivided.